2 months left till your 4DTV shuts down! For those who don’t already know as of July 31st 2016 your 4DTV signal will be turned off. Plan’s for any extensions or reprieves of the HITS for consumers signal are not good. This leaves all existing 4DTV subscribers with an important decision to make. How do I get my programming after July 31st? 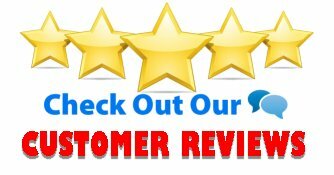 You can go the route of cable or small dish with their high prices, poor picture quality, 2 year contracts with early termination fees, and outages in rain and snow. OR You can upgrade to Rainier Satellite, keep your c band dish, and get the best picture available anywhere without contracts, hidden or early termination fees, and you will be able to enjoy you favorite TV show during inclement weather. The choice is up to you. Rainier’s HITS 2 Rainier Upgrade special offer continues for all to take part of. Upgrade Today, Get Rainier Satellite here. Posted on May 28, 2016 Author rainiergroupCategories Rainier NewsLeave a comment on 2 months left till your 4DTV shuts down! NOTE : For non Rainier Satellite technical assistance a fee may apply. For general questions or sales please call 509-486-4137. Looking for FTA channels? Look NO further Rainier has that covered too! Has your FTA box bit the dust in a short period of time? Is it old and tired, outdated, can’t lock those new hard to get channels? Does it have issues with shuttering, pixelating, and lip sync. Does it freeze or lock up? Is the menu poorly laid out? Did promised features quit working or worked poorly? 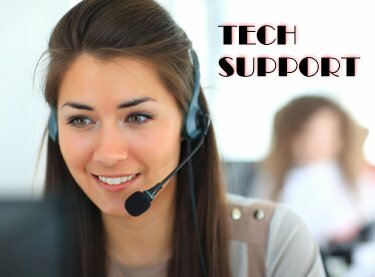 Did your FTA dealer quit support for it or has gone out of business? Did he never come through on a solution for the problem box, then brushed you off and pushed you into buying a so called improved unit? Can’t figure out how to load that upgrade, or bricked the box trying to upgrade? These are common issues, and complaints that arise when you own the run of the mill FTA receiver. Well the solution is here NOW! Not only does the Rainier Satellite Cisco D9865H HD Receiver bring you PURE MASTER HD Subscription TV channels, but all the FTA favorites without any of the issues common to all other FTA receivers. 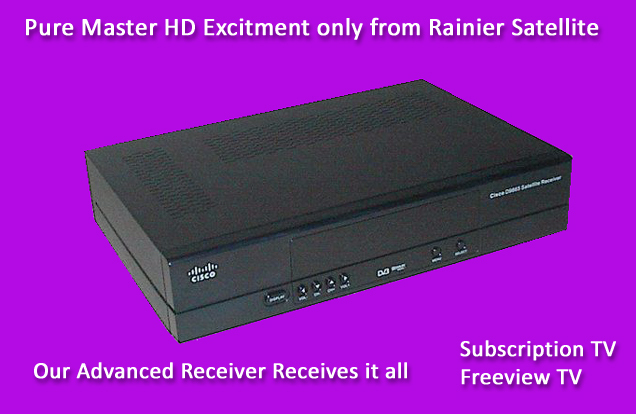 The solution is simple upgrade to Rainier Pure HD Subscription and FTA, ALL IN ONE ADVANCED RECEIVER! PLUS RECEIVE for as little as $10.83 a month our current (continuing to grow) Lifeline Basic package. GET THE SIMPLE ALL IN ONE SOLUTION NOW ONLY FROM RAINIER SATELLITE TODAY. YOU CAN GET IT ALL HERE! 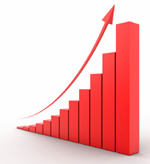 Are you a Satellite Dealer that wishes to increase your revenue? Consider becoming a Rainier Approved Satellite Dealer. Sell our systems and get excellent capital return. To apply download our dealer application here and return for approval. Posted on May 25, 2016 July 27, 2016 Author rainiergroupCategories Rainier NewsTags 4DTV, 4DTV Shutdown, 4k TV, att, C Band HDTV, c band provider, directv, dish network, fta, hd c band programming, Piracy, powervu, programming center, satellite receivers limited, skyexpress, Skyvision, SkyXpressLeave a comment on Looking for FTA channels? Look NO further Rainier has that covered too! Are you in Idaho? then your in luck. Rainier Satellite now has an authorized dealer there doing installs and upgrades. We welcome Spare Time to our growing list of dealers. Rainier Satellite continues to grow. Thank You! 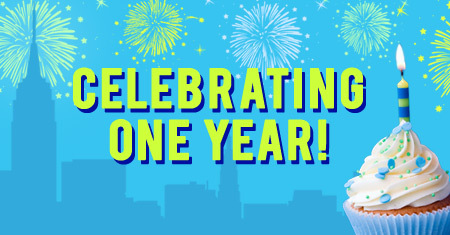 At this time Rainier Satellite wishes to thank the public for our continued success and growth. The latest numbers are in and show that the HITS platform conversion to Rainier full arc platform has become a big success. Many more c band dish owners are now watching AWESOME PURE MASTER HD QUALITY on c band from us. We offer a warm welcome to all the new Rainier Satellite subscribers. If you didn’t upgrade yet you still can as our upgrade sale continues until further notice. Rainier is trying our best to make it easy for 4DTV owners to keep their big dish active and filled with great HD channels even after July 31st. 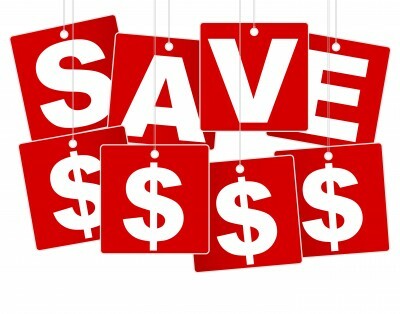 To get the special price offered call 509-486-4137 to get the code needed for this special offer. Once you have the code click here to order at our special price. Can’t do it yourself? Rainier is continuing to add authorized dealers to our list on our home page. Posted on May 20, 2016 July 27, 2016 Author rainiergroupCategories Rainier NewsTags 4DTV, 4DTV Shutdown, C Band HDTV, c band provider, cable tv, cisco, directv, dish network, NPS, Piracy, powervu, programming center, rainier satellite, satellite receivers limited, skyexpress, Skyvision, XfinityLeave a comment on Rainier Satellite continues to grow. Thank You! On May 15th 2016 Rainier Satellite celebrates its 1 year Anniversary open to the general public. Does time fly when your having fun… We appreciate all who have become part of the Rainier Family during this first year, and made this first year a huge success for us. The best is yet to come. 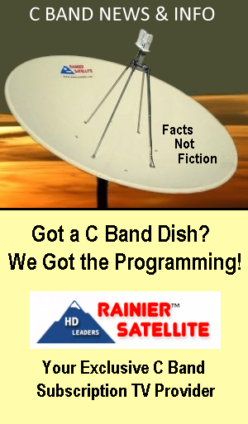 In year two (coming this summer) Rainier Satellite will be expanding our lineup and launching the best of the best in Pure HD cable channels. If you never seen Pure HD before your in for a treat. 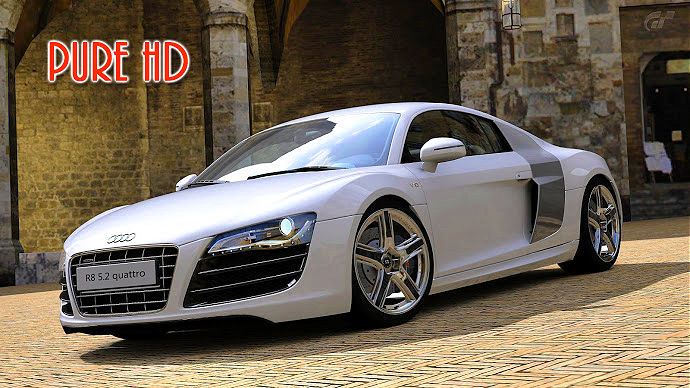 Once you have Pure HD and see what High Definition is all about, you’ll never want to go back to the blurry soft lifeless pictures offered by small dish, cable, IPTV and other big dish systems. 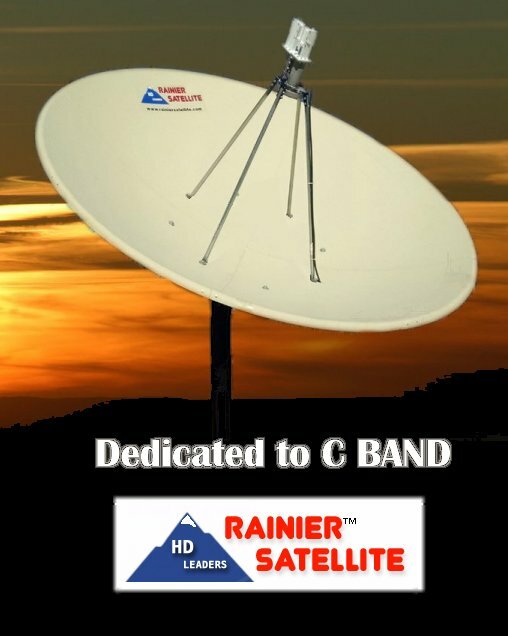 At Rainier we are dedicated to C band and will continue to grow to make the big dish the best source for HDTV content available to the public.